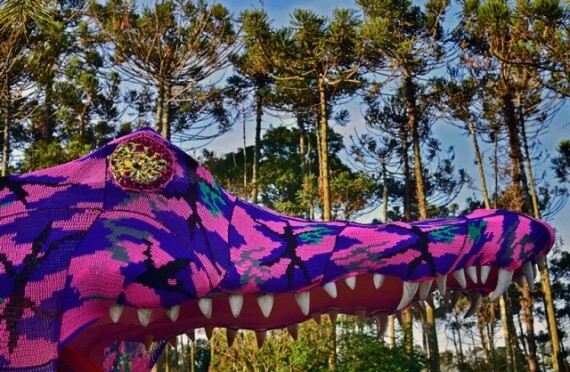 Aligator Playground – Crocheted Aligator Playground, in São Paulo by Olek or “Crocheted Jacaré“ is the latest work from Brooklyn-based artist. 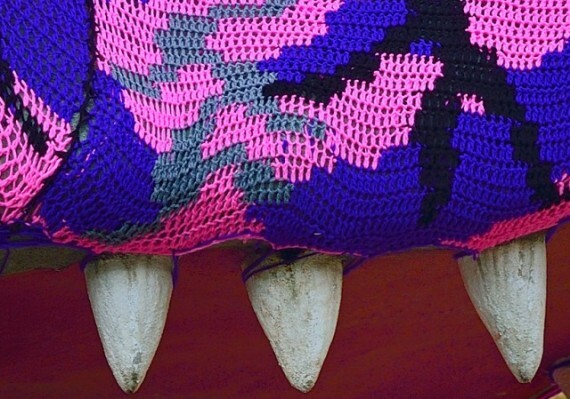 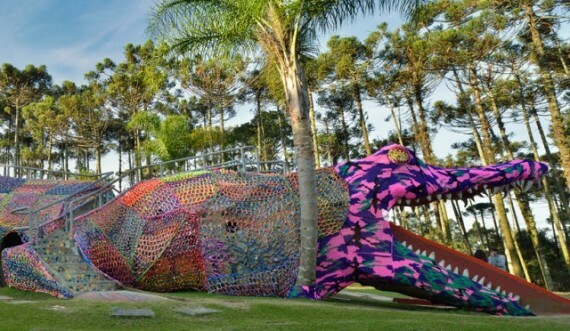 She traveled to Brasil for the 2012 SESC Arts Show in order to encase a massive playground shaped like an alligator in her trademark crochet covering. 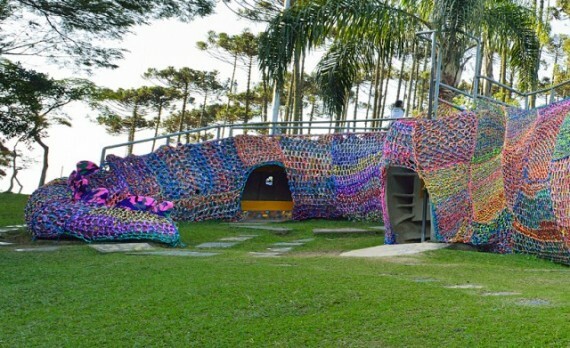 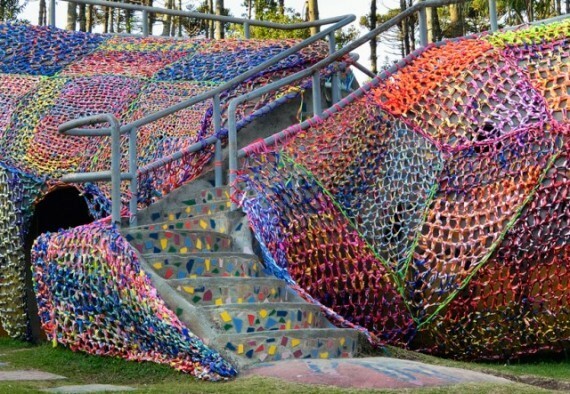 With the help of several colleagues Olek covered the reptilian playscape in North Carolinian acrylic yarn and Brazilian ribbons over a period of several weeks.